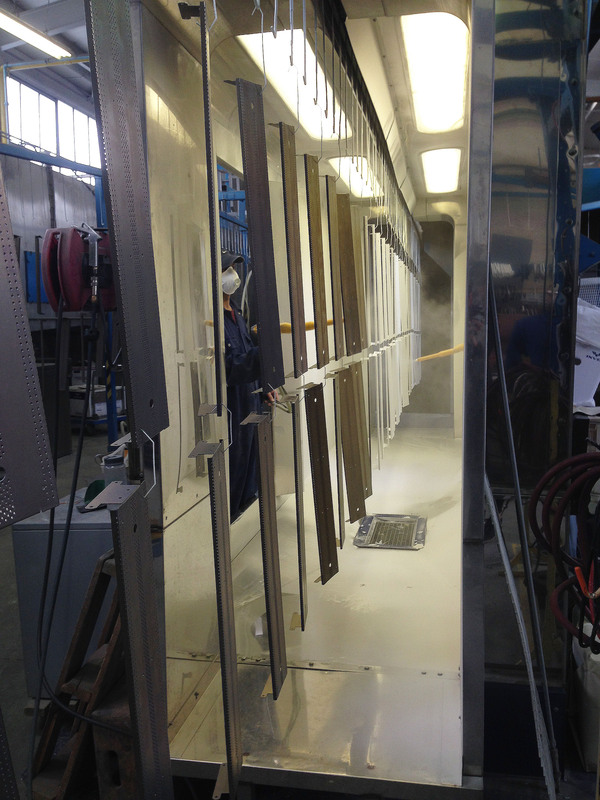 ﻿ What is Powder Coating? | not tom. 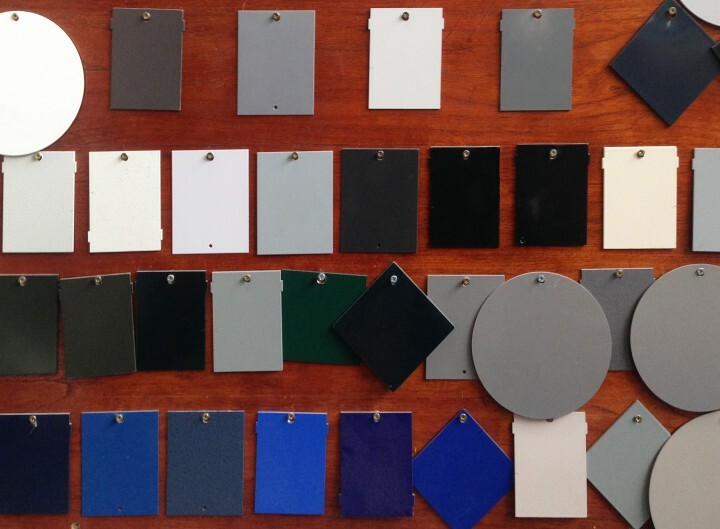 We love discovering new materials and manufacturing processes at Not Tom, so we thought we’d share one of our favourites with you – powder coating. 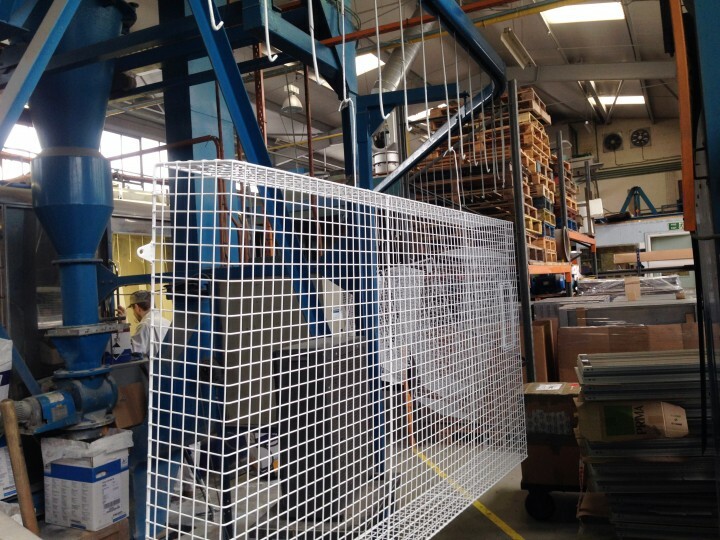 Powder coating is a finish mainly used for covering metals – it’s durable, weather resistant, chemical resistant, flexible, comes in endless colours and the finish is twice as thick as a regular paint finish – so it’s not hard to see why we’re such big fans! 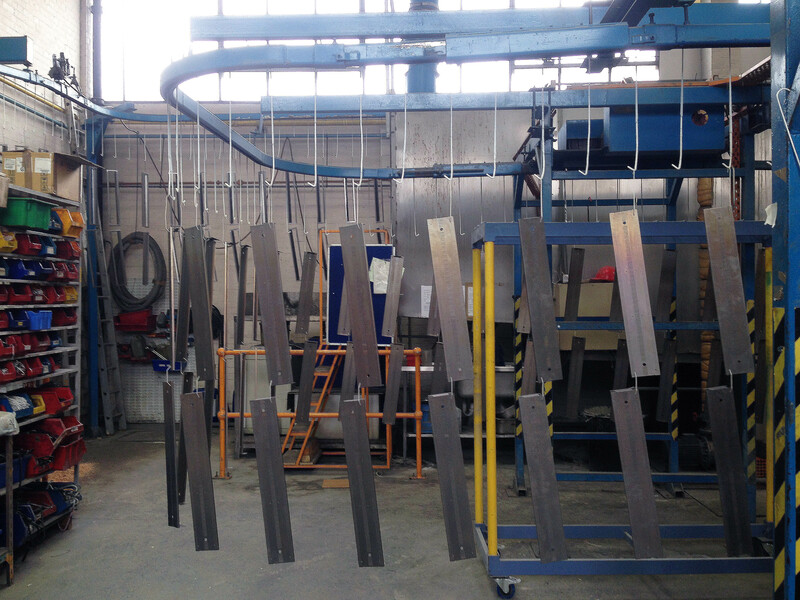 We’re getting some steel elements powder coated for a client as we speak so we decided to head over to the workshop and learn a little more about the process. First of all each element has to be cleaned. 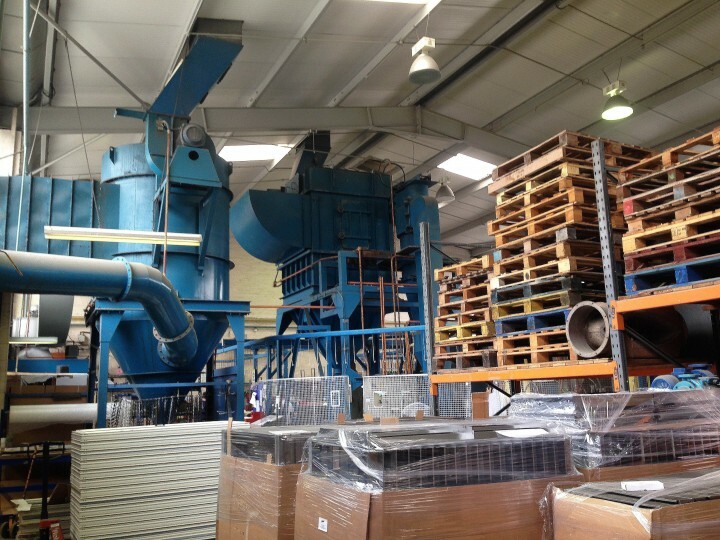 All the elements are hung from a conveyor belt and passed through an iron phosphate pre-treatment unit. This removes any grease, oil, soil etc. and is essential to ensure the powder can stick cleanly to the metal. Now cleaned the pieces are reading for the powder. It is a dry coating, which is applied as a free-flowing dry powder. It is applied electrostatically, and is then cured under heat to allow it to form a ‘skin’. This is done by hand with an electrostatic gun that passes an electric charge through the powder. This can then stick to the object, which is earthed. Next, the piece is heated so that the powder can melt into a uniform film, followed by cooling to form a hard coating. The curing process causes the powder to form even stronger bonds by strengthening the molecular structure. The curing time and temperature can vary depending on material but it usually takes around 10 mins at 200° C.
The whole process is fairly lengthy, taking around 2 hours from start to finish.